When Life Gives You Grubs, Serve Them Nematode Tea! My peas are going crazy. 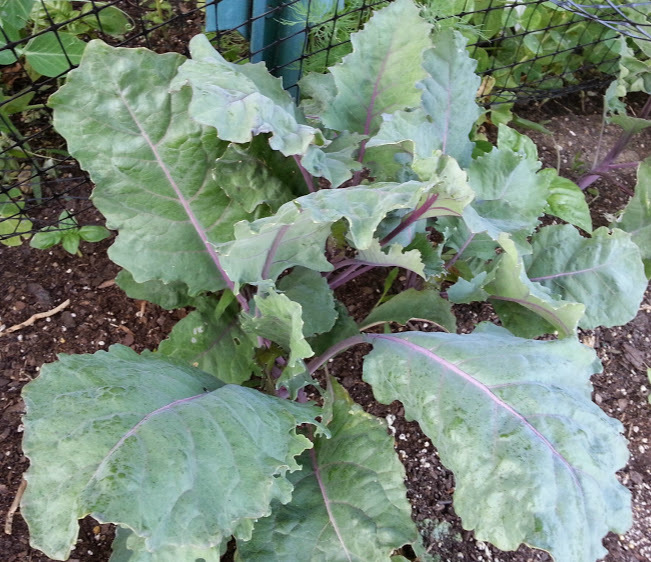 My kohlrabi is looking good. 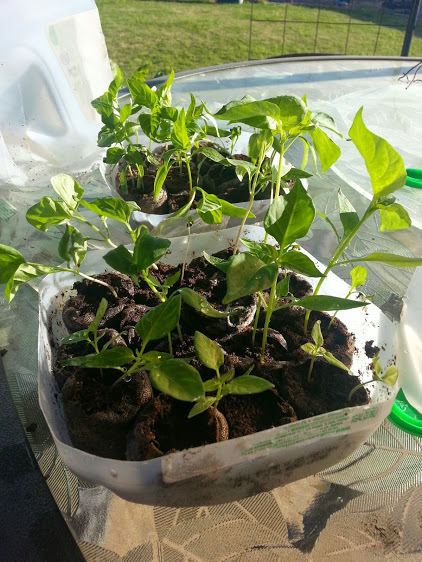 The peppers I started from seed are closing in on transplanting time. The only issue I am having are super-sized, extra giant grubs. “Everything is bigger in Texas”. Yes, these are real and not photoshopped and I’m sorry if you were eating while reading. 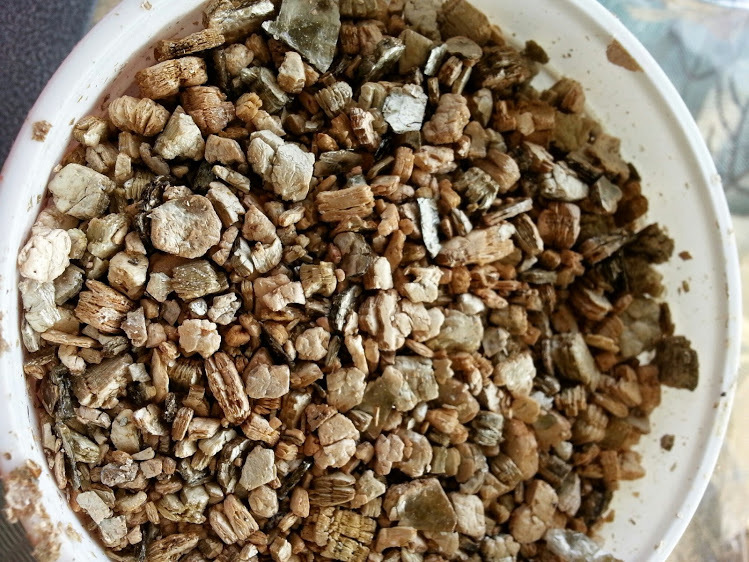 These are not your June bug variety lawn grubs. 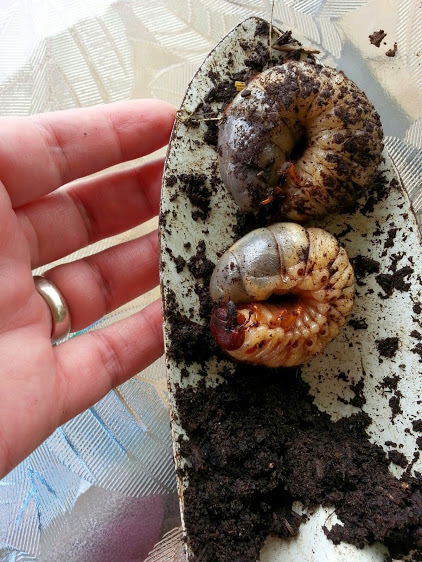 My best guess after some research is that they are Eastern Hercules Beetle larvae. I am not sure they are actually damaging my plants. The profile for these says they are feeding on decomposing organic matter in my beds. However, I had these in my pots last season and I am certain they were responsible for the demise of the tomato plants that were growing in them. I am not usually squeamish about bugs. I invite all sorts of things to enjoy my garden with me. I teach my kids that garden spiders are my helpers. I squish the caterpillars on my veggie plants by hand so I don’t have to spray. I encourage wasps so they can eat the caterpillars I miss. I collect and transfer any earthworms I find on the sidewalk after a rain, into my raised beds. But…everyone has a breaking point. Had they been in a compost pile I would have left them. Unfortunately, these were where I was working and they were out of control. I was digging up three or four for every plant hole I dug. They are so big I was smashing them with a trowel rather than get the gross innards on my shoes. Plus: since I couldn’t tell where they were as I dug, I punctured a few while digging and they were making my planting experience a gross one. I didn’t want to use a chemical across my veggie bed, so I took the plunge and ordered some beneficial nematodes. I bought them through this site: link. Nematodes are microscopic. Some varieties of nematodes naturally found in sandy soils down here are harmful to plant roots. I have read horror stories from people who were trying to eradicate those. These nematodes are different. They don’t infest plant roots: they eat bugs. They are microscopic hunters that will go after quite a few of my least favorite garden insects. As long as it pupates or lives in the soil: I should be covered. One of the bugs I’m hoping to get some control over are squash vine borers that have two life cycles per season down here. The squash borers love to decimate my favorite winter squash varieties and they pupate underground. What I found when I opened the nematode tub. Inert media mixed with my supposed hunters. Since the nematodes are microscopic I was wondering what took up so much room! They are completely compatible with beneficial insects such as ladybugs, lacewings, and praying mantis and do not harm earthworms. They are supposed to stay refrigerated, so I’m guessing you won’t have a lot of luck with them once the weather gets hot. I put mine down on an overcast weekend. They were easy to apply. 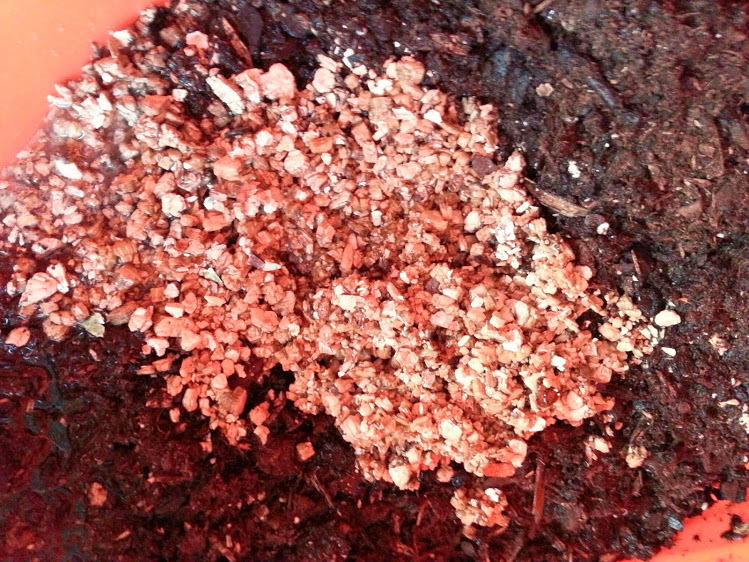 Mix into some soil in a bucket and a little more water. 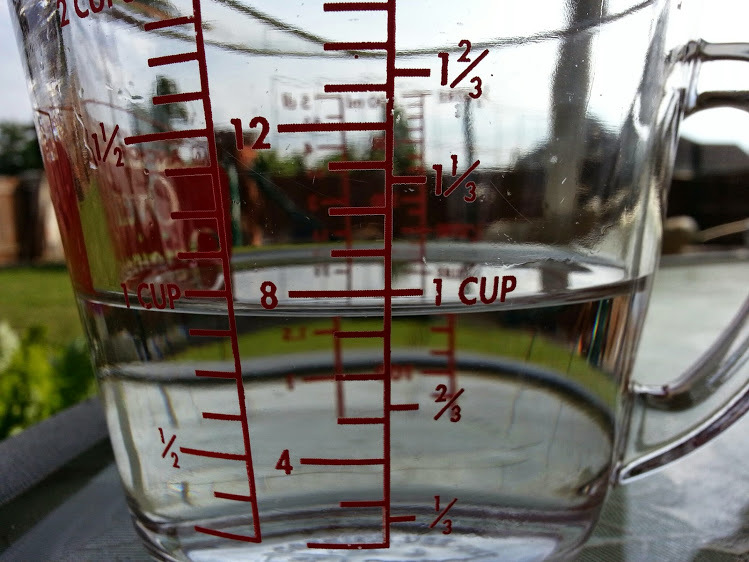 I used the cup they came in to stir the mixture and scoop it out across a few pots and my beds. I am hoping for great results. I will settle for any recognizable change in soil dwelling, problem insects this season. I will also be watching the claim about not harming earthworms. I have said before that I need a degree in entomology to identify the vast array of insects down here. 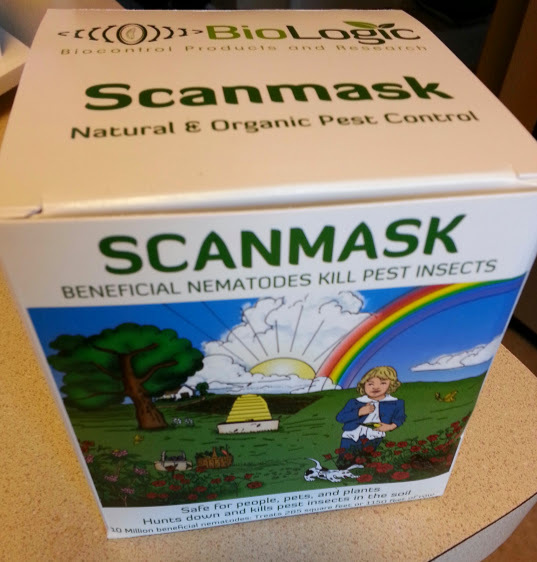 Hopefully, my new friends: the nematodes, will help me get out from under the bug avalanche my garden experiences every summer. Wish me luck! Update: The nematodes worked incredibly fast. The grubs were gone within the week and I haven’t had many problems with bugs this year. I will definitely be using them again! your garden is beautiful!!!! Hope this works for you!! Thank you! I appreciate it. Those grubs are too much! Thank you! Yes! They were too much! would definitely have to go. Yuk! But thanks for the informative article. I’m from Florida were nematodes wreck havoc on lawns. I may actually check out some for my own garden. Thanks for the info. Good luck but ewww those are huge grubs! Crazy, right? I am totally over dealing with them. Thank you. That didn’t all come through and I’m not sure why. Thank you for the comment though! I appreciate it. Me too! Unfortunately it’s not just one! Thank you for stopping by. I appreciate it. I’m not sure, but I think those grubs would even be a little too much for my ducks! I’ve never seen anything like them. Blech. Good luck with the nematodes! We put the ones in my pots out for the birds. No takers. I actually had someone ask me if they were edible…apparently not! I will definitely update. 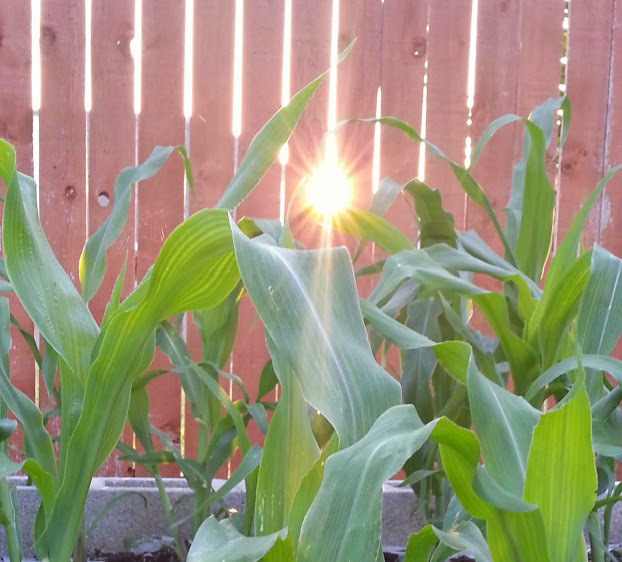 So far (since last weekend) I have found no grubs while planting and my corn is taking off. I’m happy and amazed. I certainly thought it would take longer. This may be a yearly solution! I am shocked that it would work so quickly. Here in Sweden we have been invaded by Spainish snails. We call then murdering snails. They are verocious eaters and can wipe out your veggie patch in just a couple of days. They kill other snails and they reproduce in large numbers. I wonder if this could work or if there is something like it that is organic. We have been really lucky thus far they have not invaded us. My neighbor down the road from us was heartbroken last year because they wiped him out. I put frogs or toads in my garden and flower beds. They have stayed for a couple of years now. thus far we have avoided their invasion. I told my neighbor to try that. I am going to go online and checkout the company name on the box. last year I had a moth larve that ate up my brocolli. I picked them off by hand everyday. We sprayed the plants with soap water afterwards. It seemed to help. I had a small brocolli harvest because of them. These moth larve dessimated these crops in our area. I found out from news reports.This year I have planted garlic and onions around my brocolli, cabbage and cauliflower to ward these larve off. I read on line that this can help. I hope they are right. Other wise I will have to tent them once I have picked the larve off the plants. Thanks for the link to Cornell Univ. I will check that out. I just spoke to my neighbor who has a large veggie patch. He took a course recently with a specialist. Our county had arranged it for free to locals most farmers on the subject. He said if we put a sand border around our garden it works as a barrier that they won’t cross. I suggested to Hubby that we could put one around each bed. We have been lucky this far but the news here has warned everyone that we have had such a mild winter that we could have an explosion of these snails. The likes Sweden hasn’t seen before. I hope and pray they are wrong. Wow, Hercules Hercules! They are monstrous! Just remembered about the Cement jungle post I wanted to do yesterday, but I will have to wait a few days. Your garden looks great! Good work! Thank you! Yes! They are enormous! I can’t imagine eating these unless I was starving. Very gross! Thanks for coming by and commenting. I appreciate it! Pretty hideous monsters, these. Of course, they’re not wildly different from what you’d get if you found naked lobsters and prawns, let alone witchetty grubs, so maybe these guys would grill up into stupendous rich-folk-style dining. But I’ll admit I’d be too grossed out by them to even stomach gardening around ‘em much, let alone eating them! 😉 I wish you luck with your nematode experiment. I did have an avid gardener pose that question! Lobster and shrimp are bugs of the sea. These are 90% poo though! If I were starving…sure, it would cross my mind. Luckily I’m not! Thanks for coming by and giving me a good laugh. I appreciate it! Wow, everything in Texas is bigger! Our backyard grass in Chicago was infested with smaller grubs -they eat the roots, and the grass can be rolled up like a carpet. I purchased some beneficial nematodes, made the tea and spread it on my lawn. (about 2 million, so the package said) I think it worked – I still have grass. Best of luck! Thank you for the encouragement! I’m glad you didn’t lose your lawn. I’m also encouraged that nematodes seemed to work for you. Thanks for sharing your experience! 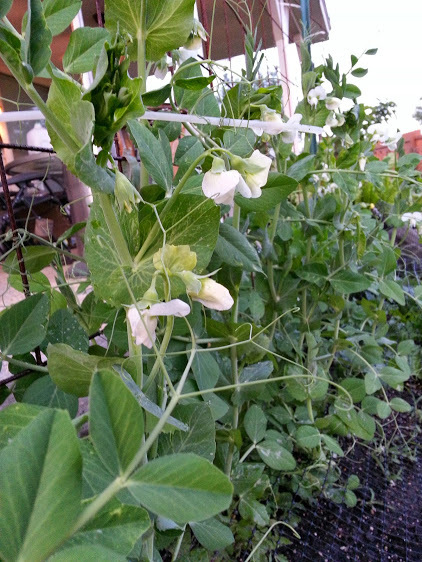 Your peas look great! I hope the nematoded worked for you! Some nasty looking bugs, there. Yuk!! I hope the nematodes do there stuff. Never used the before but would be interested to find out more from your experiences. I’ll definitely keep this post updated. They really grossed me out. The yuck factor was just too much to overcome! Thanks for coming by! Your planting season is WAY ahead of mine here up-North! I don’t even have my snap peas in yet- too cold, and your peas are like a jungle! My mom is in Kansas. She’s planting her spring veggies just this week. Wait until high summer though. She’ll have tomatoes and I will have heatstroke! There’s benefits and drawbacks to every place we garden. I hope you get some warm weather soon. It’s hard to wait! Thanks for stopping by and commenting. I appreciate it! Hope you got rid of those bugs! Thank you. I hope so too! I haven’t dug any more up and the nematodes have been down for two weekends. I think they worked! The whole bed has rebounded and my plants are going crazy. Thank you for coming by! Thank you! I totally agree, they are disgusting. I left some in a pot for the birds. None of them got eaten. Apparently the birds think they are disgusting too! We saw one of those things or something very similar to it balled up on my aunt’s sidewalk. We asked her if she knew an alien left a deposit on her sidewalk. No one knew what it was so no one touched it. I will have to tell her the next time we visit that it was likely a grub. She does not purposely garden but found out from another visitor that her landscaping includes rosemary. She has offered the plants to her friend since her friend has use for them in her cooking. Before her friend gets them, while I am learning to grow roots from things, I will take a few stems and see what I can produce. Thank you so much for the postings that you do. I will have to keep up with you. Oh, I envy your growing season! Those are biggest damn bugs I’ve ever seen, though. We get some real chompers from time to time, like the tomato borers that enjoyed my tomato harvest one year. They were huge, but not like those guys. I ended up using a brick to mash them – they were too big for me to stomp on. They are huge! The bad part of being in South Texas is when summer rolls around everything poops out and withers in the heat. I still get to grow things, but it severely limits what those things can be. Thank you so much for stopping by! I appreciate it that you took the time to comment! Lovely garden! Lots of protein 😉 I heard that having a small pond attracts frogs and they help with the slug control so I made one out of a reclaimed baby bath tub, don’t know if they are doing their job (maybe I’d have more slugs around without them + my children enjoy seeing the process of the tadpoles becoming little frogs) maybe the frogs would eat those grubs too? I’ve flipped the grubs out on the ground before but nothing (not even our boat tail grackles) will touch them. That’s a good idea for reusing a baby tub! I’m not sure how I would encourage toads and frogs but not rattlesnakes. Maybe that will be my next project! Thanks for coming by. I appreciate it! I read that (in the UK) with humans taking over their habitat, frogs are retreating, don’t know where to, and just by putting a small body of water in your garden they’ll come to it. In my case my friend gave me some frog’s spawn from her mother’s pond. But yeah, I hadn’t thought of rattle snakes! we don’t get them here. Lovely blog, good luck with your projects. Interesting. I have grubs but they are no where near the size of those mammoths. When I find them I feed ‘em to the ducks and chickens. I’ve left them out in empty flowerpots and never had any takers. I think they must be both huge and foul. Thanks for coming by! Thank goodness I don’t live in Texas, those grubs make my stomach churn! Mine too. These and squash vine borers are on my ultimate yucky bug list! They are two really gross creatures. I suddenly feel like the few I have seen in my garden are tiney tiny nothings! We’ve got the little ones, too. The little grubs are destructive, these were just gross and in the way. 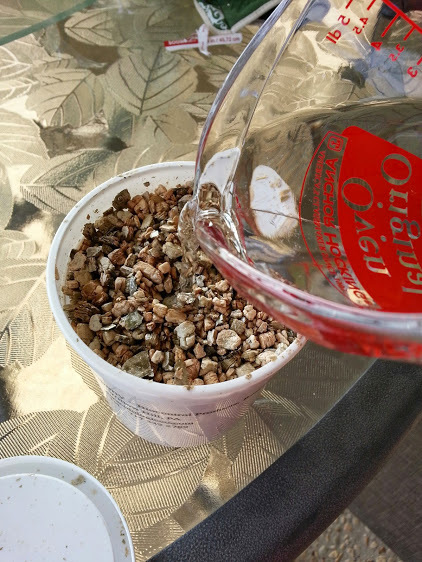 The nematodes wiped the giant grubs out within a week, so I do recommend them as a solution. Thanks for stopping by! I appreciate the visit!